If heroin is coffee, fentanyl is espresso. Just as a miniscule cup of espresso can hype you up more than a whole mug of coffee, a single exposure to fentanyl can get a user vastly higher than injecting the same volume of heroin. In fact, the Centers for Disease Control and Prevention says fentanyl is 50 times stronger than heroin. 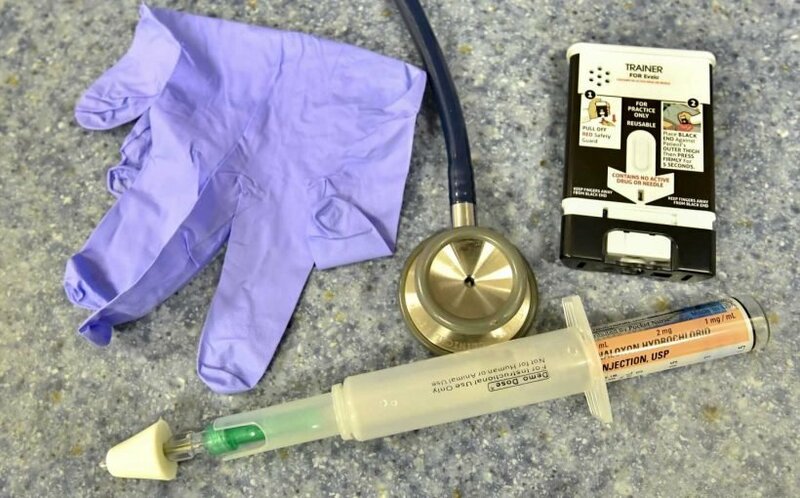 In a recent study funded by the National Institutes of Health, West Virginia University researchers Gordon Smith, Marie Abate and Zheng Dai found that fentanyl-related deaths are on the rise in West Virginia, even as deaths related to prescription opioids decline. By analyzing all drug-related deaths in the state from 2005 to 2017, the research team—which included medical examiners from the West Virginia Department of Health and Human Resources—discovered that between 2015 and 2017, deaths from fentanyl were 122 percent of what they were between 2005 and 2014. In contrast, prescription opioids played a role in 75 percent fewer deaths between 2015 and 2017 than over the previous 10 years. Why did fentanyl-related deaths skyrocket in 2015? One factor was a surge in illegal fentanyl imports from China. “Up until then, people who were shifting from legal prescription drugs to illegal drugs were shifting to heroin and opioids coming in from Mexico and other places. But then people started manufacturing fentanyl in China, setting up clandestine labs, staying one step ahead of drug-enforcement agencies,” said Smith, an epidemiologist in the School of Public Health. “The big thing about fentanyl—and now carfentanil, a fentanyl analog that’s a thousand times stronger than morphine and heroin—is that it’s very easy to export. Instead of having to smuggle truckloads of heroin in, someone can send small packages through the mail,” he said. Drug users may take fentanyl or one or more of these potent fentanyl analogs without meaning to. Unbeknownst to them, it can be sold as counterfeit “prescription opioids” or blended into the heroin they buy, even from a dealer they’ve used without issue before. Accidentally drinking four ounces of espresso instead of drip coffee can make you jittery. 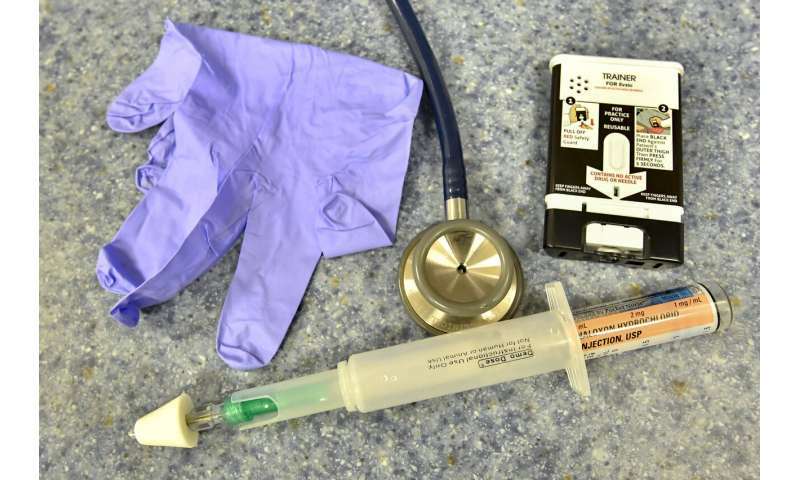 Taking a fentanyl/heroin mix instead of unadulterated heroin can kill you. Another problem is that the amount of fentanyl in any sample sold on the street can vary widely. For example, dealers may mix fentanyl with adulterants at the local level on their kitchen tables. If they improperly mix their product, a spoonful in one small bag may have much more fentanyl that another, even in the same batch. In addition, illegal labs in the United States can make chemical modifications to fentanyl fairly readily to produce other very potent analogs. West Virginia’s increase is fentanyl-related deaths is part of a national trend. As the CDC reported, deaths from fentanyl overdoses spiked across the United States in 2015 and, as of 2017, continued to climb. West Virginia, however, leads the nation in fentanyl-related deaths. It also has the highest per capita rate of overdose deaths overall. Yet West Virginia is exceptional for a more optimistic reason: its medical examiners pinpoint the cause of every drug-related death, and the relevant facts populate a statewide forensic drug database maintained at the WVU Health Sciences Center. The database includes such information as the decedent’s demographic information, cause of death, toxicology testing results, other medical conditions present and recent prescriptions for controlled substances. This database gives scientists, healthcare providers and law enforcement officers insight into drug-misuse trends as they unfold. Abate, who directs the School of Pharmacy’s West Virginia Center for Drug and Health Information, established the database in collaboration with the West Virginia Office of the Chief Medical Examiner in 2005. “The extent of decedent information found in this database is unique nationwide,” said Abate, who—along with Smith—received prior funding from the West Virginia Clinical and Translational Science Institute, the WVU Injury Control Research Center and the National Institute on Drug Abuse for research into drug misuse. The database can help direct public-health resources to where they can do the most good—and promptly enough that they’re worthwhile. For instance, the data may suggest which towns need greater access to naloxone to treat a preponderance of overdoses. They may even help scientists decipher the chemical makeup of brand-new fentanyl analogs as soon as they hit the street.